Welcome to the Universal Textiles UK outlet website. Over the last 10 years we have delivered over 1,000,000 Internet order parcels to the UK. So please rest assured you are in experienced hands. Universal Textiles was initially founded in 1986 as a wholesaler of hosiery products. Although we still supply wholesale, our company primary focus in Online retail. Our Online activity now makes up 95% of our annual sales. We ship thousands of single order parcels every day from our warehouses to customers all over the world. On this outlet website you can access our best product offers on global brands delivered direct to you. We now supply high quality products, ranging from clothing, shoes and bags to homeware, pet products, giftware and much more! Based in Leicester UK, we supply the following countries, United States, Canada, Australia, China, Japan and Central Europe. 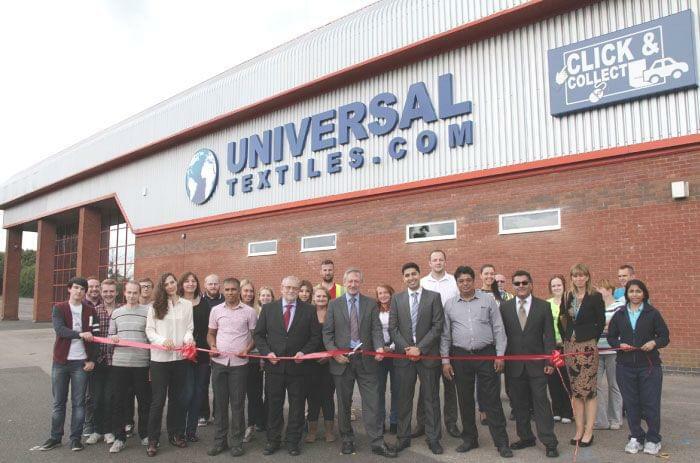 Whatever you are looking to purchase from Universal Textiles, we're sure that your experience will be a positive one. Just see the thousands of positive reviews we have received from all over the world!